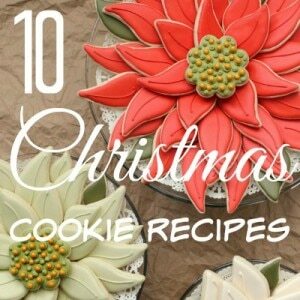 10 Christmas Cookie Recipes - Home. Made. Interest. It’s never too early to start planning which Christmas Cookies you’re making. I found my favorite 10 Christmas Cookie Recipes and wanted to share them with you. Bring out the rolling pin and pastry bag. It’s decorating time, cookie decorating time that is. I always get intimidated by all the pretty iced sugar cookies, they look so professional, but guess what? We can all do it with a little help from some of the great step-by-step tutorials and videos out there. I’ve rounded up a few to make your life easier. We all want to make, and eat, pretty things! Note: This post contains affiliate links. This means if you click on a link and purchase a product we may receive a small commission to buy more baking supplies! Thank you. 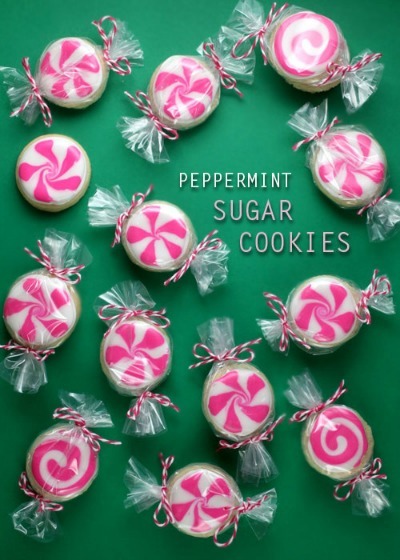 How cute are these bite size Peppermint Candy Sugar Cookies? Use this circle cookie cutters and package them to look like candy with these bags and twine. They would be the perfect cookie for a gift basket or classroom Christmas treat. We all like surprises right? These Christmas Drum Cookies have a hidden surprise inside. You will need circle cutters, squeeze bottles and twine. Want your Christmas dessert table to stand out? 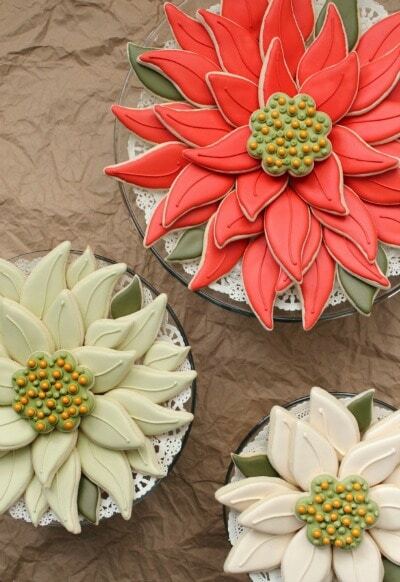 This Poinsettia Cookie Platter is sure to get oohs and ahhs. All you need is this leaf cutter. 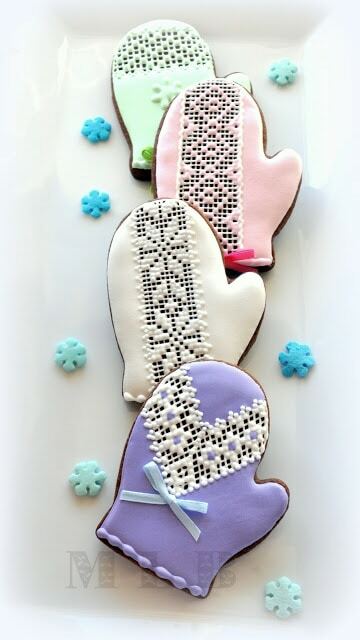 I’m loving the lace technique on these Mitten Cookies. Use this mitten cutter and watch this great video tutorial to get the perfect lace look. 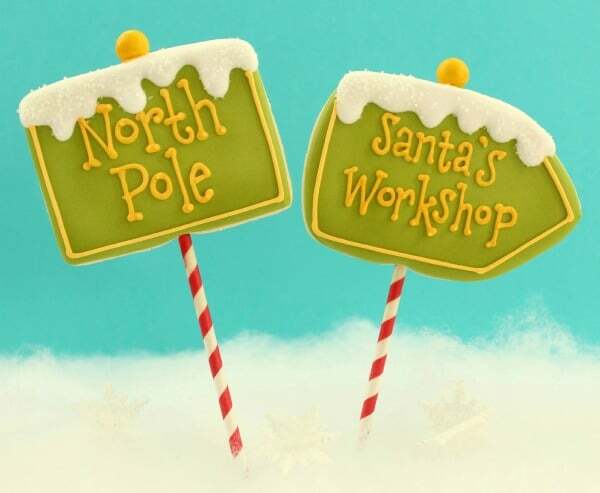 If you’ve made cake pops, you gotta try these North Pole Cookie Pops. Here’s the rectangle cutter and squeeze bottle you’ll need. The red and white striped straw adds the perfect touch. 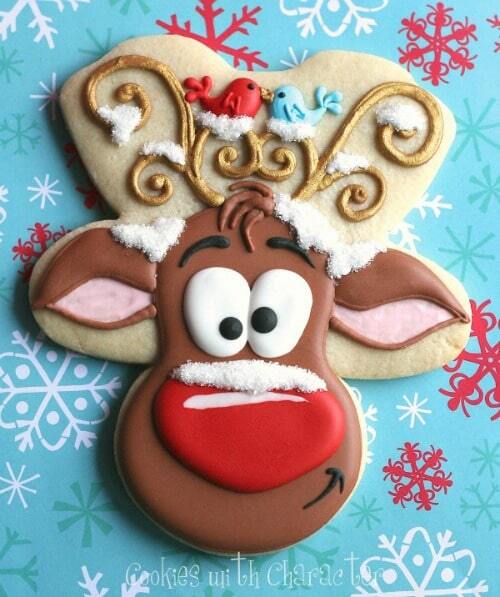 Use this gingerbread girl cookie cutter to make these Whimsical Rudolph Cookies. The step-by-step tutorial makes these look easy to make. I can’t get over all the detail. 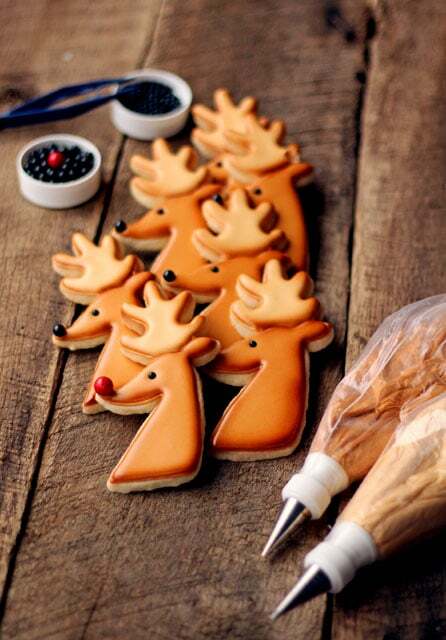 These Reindeer Cookies have a vintage look from being airbrushed. Makes a huge difference, right? Here’s the reindeer cookie cutter you’ll need. Chalkboard art is all the rage. Now you can have that same look on a cookie by using a rubber stamp. 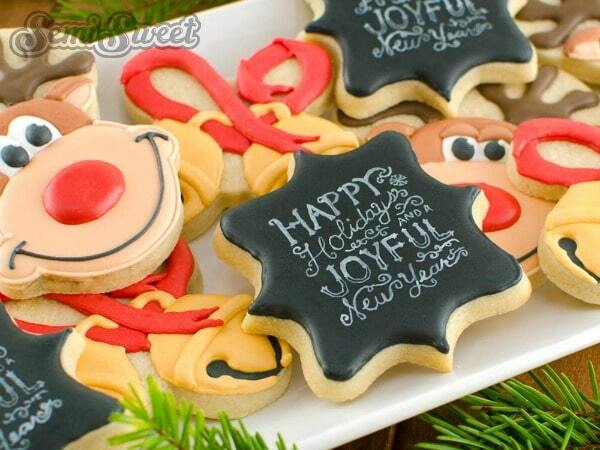 Check out how easy these Stamped Chalkboard Art Cookies are to make. Personalize cookies with this food marker. 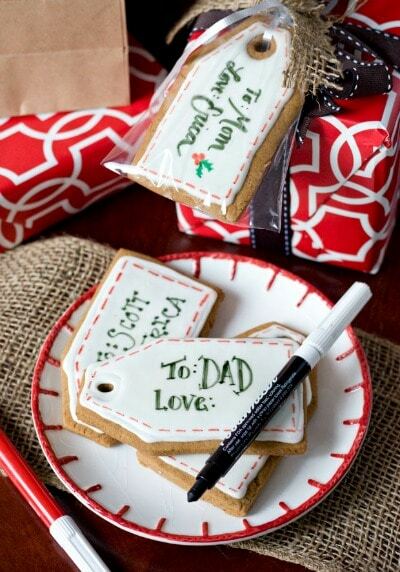 Great use of these Gingerbread Gift Tag Cookies. Attach them to everyone’s gift this Christmas. Get tag shape here. As much as I love decorating cookies, sometimes there just isn’t enough time. Here’s a simple technique using this star tip on these Christmas Tree Cookies. 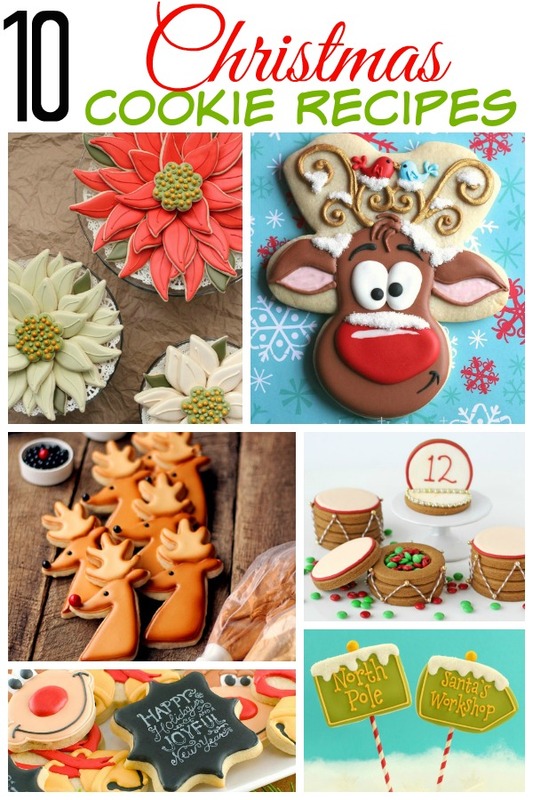 For more Christmas dessert ideas follow our Pinterest board. Follow Home.Made.Interest.’s board Holidays- Christmas Desserts on Pinterest. Christmas is all about crafting too, check out our Christmas decor and crafting Pinterest board. Follow Home.Made.Interest.’s board Holidays- Christmas Decor & Crafts on Pinterest. Let’s get our baking and decorating on! These are gorgeous. I wish I could do work like this. They are all so beautiful. Too pretty to eat. What a great roundup. 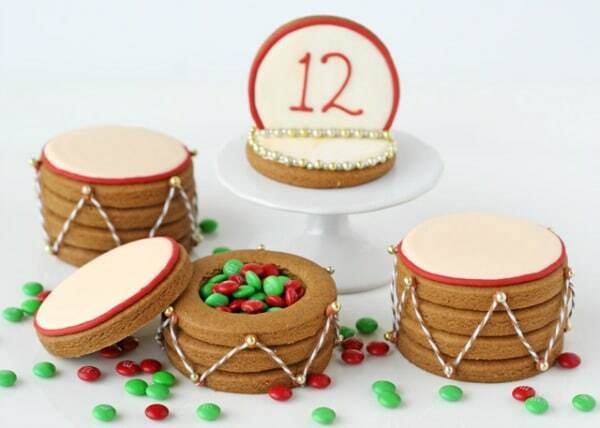 Those little drum cookies are so clever…and yum!! What a fab collection. Those little drums are just gorgeous, but then Rudolph is amazing and those gift tags are so sweet! These cookies are works of art! Lovely! I’m scrolling through your pictures and thinking there is no way these are real cookies! They are so perfect and adorable! Found you at the Creative Spark Link Party. 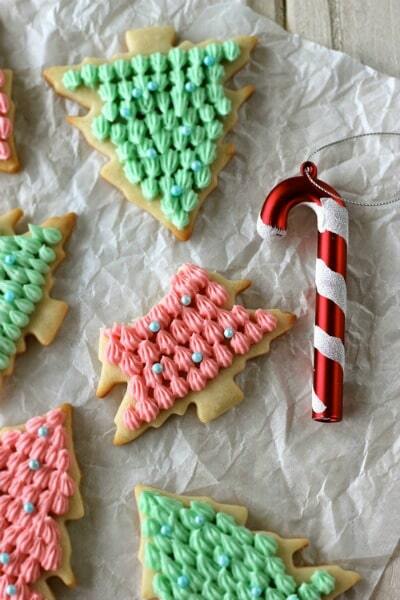 I am dying over how cute those peppermint sugar cookies are, wrapped up and everything!